Andrea Rosen is currently hosting her second show of work by the late Tetsumi Kudo, the sui generis Japanese artist whose stature has risen dramatically since the Walker Art Center organized a retrospective of his work in 2008. Kudo’s first major U.S. exhibition (at Andrea Rosen) opened only a few months before that Walker show, which is surprising, given the enormous influence Kudo has had on contemporary artists: The current show’s press release quotes Takashi Murakami declaring that Kudo is “the father of us all” (coyly adopting the line that is variously attributed to Picasso and Matisse describing Cézanne). Rosen's show, “Cubes & Gardens,” is a pleasure, filled with Kudo's creepy, kitschy boxes, which are filled with clocks, egg cartons, and what look like wet, bubbling brains. 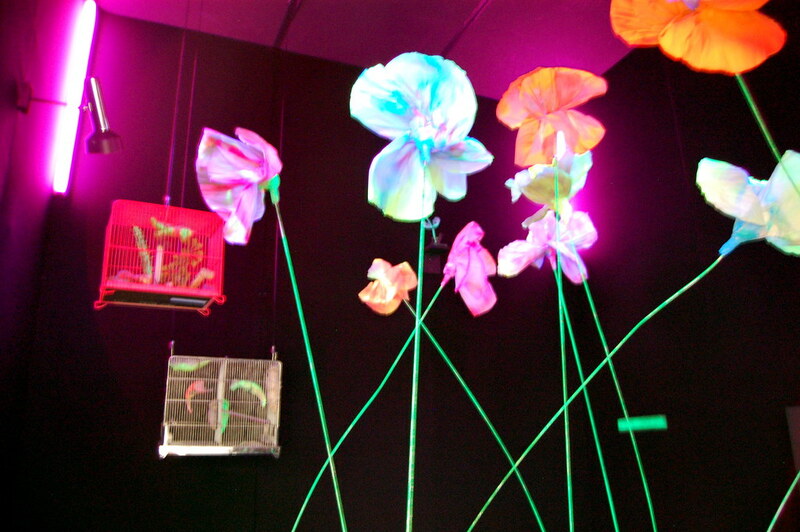 The largest, Garden of the Metamorphosis in the Space Capsule (1968), stands in the center of the room, with one of its circular doors propped open, allowing visitors to peek at the flowers and birdcages bathing in black light inside. Elsewhere, strangely lifelike flowers pop out of Kudo's elegaic garden mounds. Five or ten years ago, the Kudo show would have felt wildly out of place in Chelsea, and back when Kelley published “Death and Transfiguration,” it would have looked insane. However, there has been a dramatic cultural shift in the intervening 18 years, and the marginalized names that Kelley ticks off in his essay are now bankable stars, showing in the neighborhood’s most formidable galleries (and slowly sneaking into art history). Yayoi Kusama shows with Gagosian, who is financing her monumental polka dot-covered sculptures, and she is a winner at auction. Ed Kienholz had a well-received showcase at David Zwirner earlier this year. Opinion is even coming around on the sometimes-prickly Lucas Samaras, whose work is popping up in group shows with increasing regularity, and whose photos headlined the recent Polaroid auction. All of which is to say that the Kudo show is worth a stop on your Chelsea rounds, and I absolutely cannot wait for the Whitney’s upcoming Paul Thek retrospective. Tetsumi Kudo, "Cubes & Gardens"